Our 2017 SPINternship is off to a Great Start! TAAFI X CASO Job Fair Success! 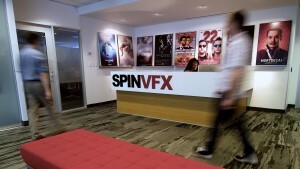 We had a great morning talking about VFX and our upcoming SPINtership intake with the students at Sheridan College. Looking forward to participating in their Industry Day on April 27 – 28. Our 2017 SPINternship student tours continue. We had a blast hosting talented artists from OCAD’s Advanced Compositing course.